Gus: Guys, GUYS! We got a letter! From the Big Man himself! SANTA CLAUS! Santa is going to give our minions students as presents this Christmas! How exciting! Since we are helping him, maybe we will get something extra special under the tree for ourselves. You do a great job training kittens! I would be honored to be able to give the students from your latest class to some very good boys and girls. 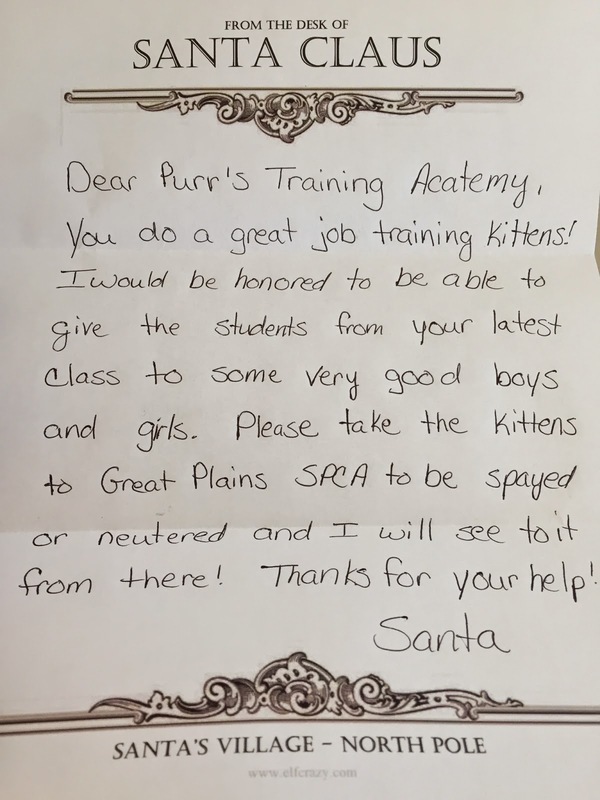 Please take the kittens to Great Plains SPCA to be spayed or neutered and I will see to it from there! Thanks for your help! Copyright 2015 As the World Purrs. Powered by Blogger.